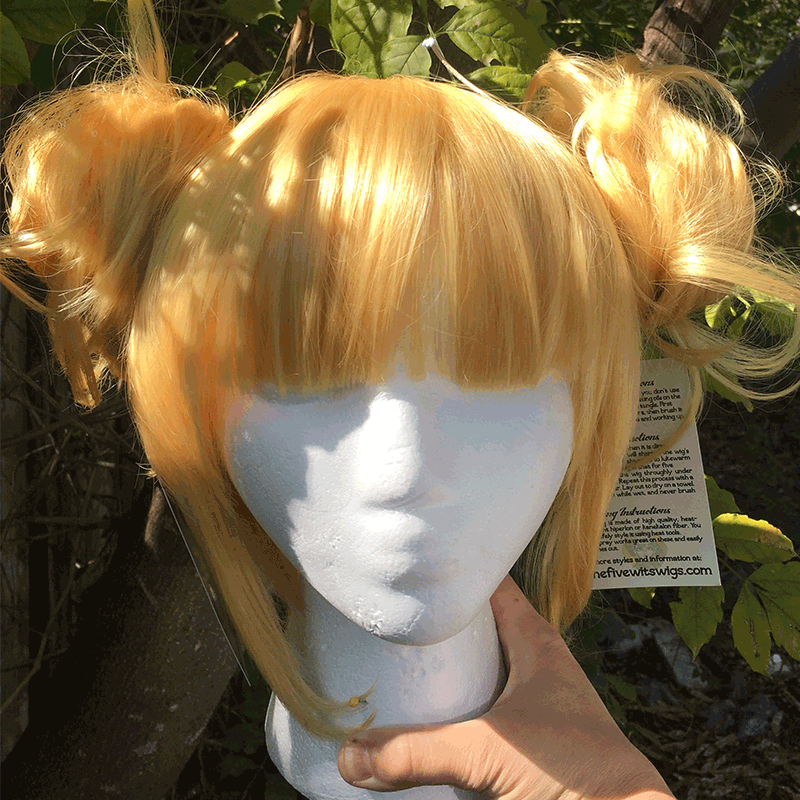 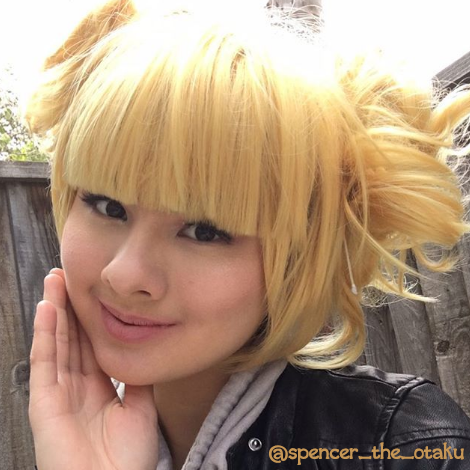 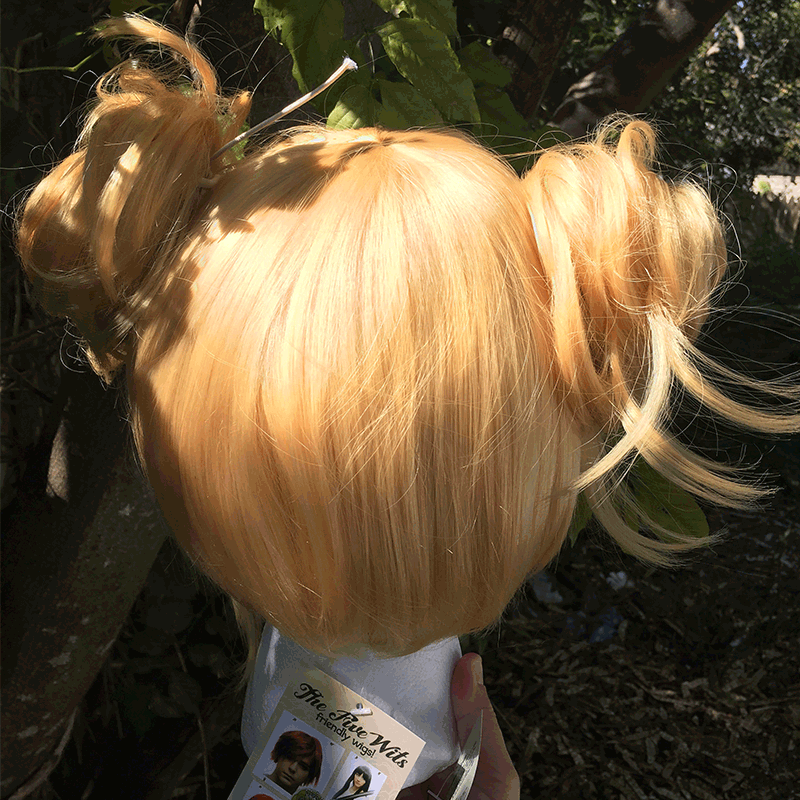 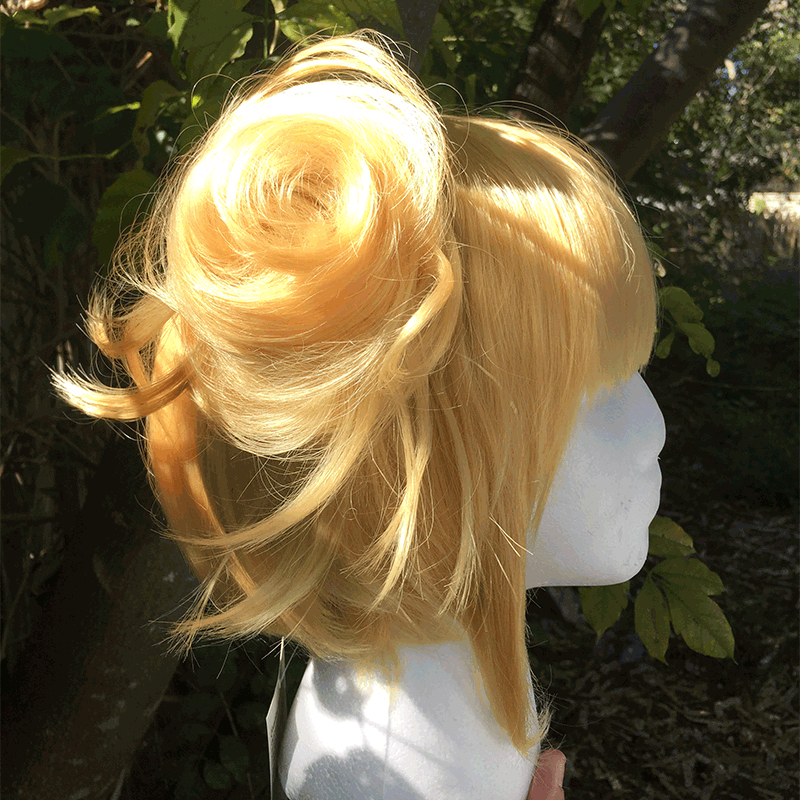 This cute and cheery 3 piece blond wig comes with two messy bun clips, and would probably never stab anyone ever. 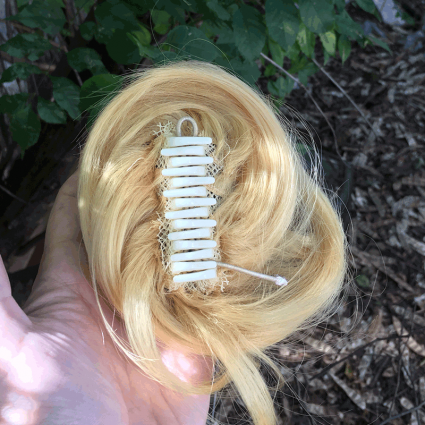 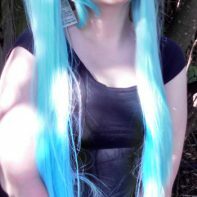 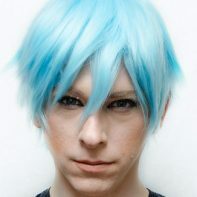 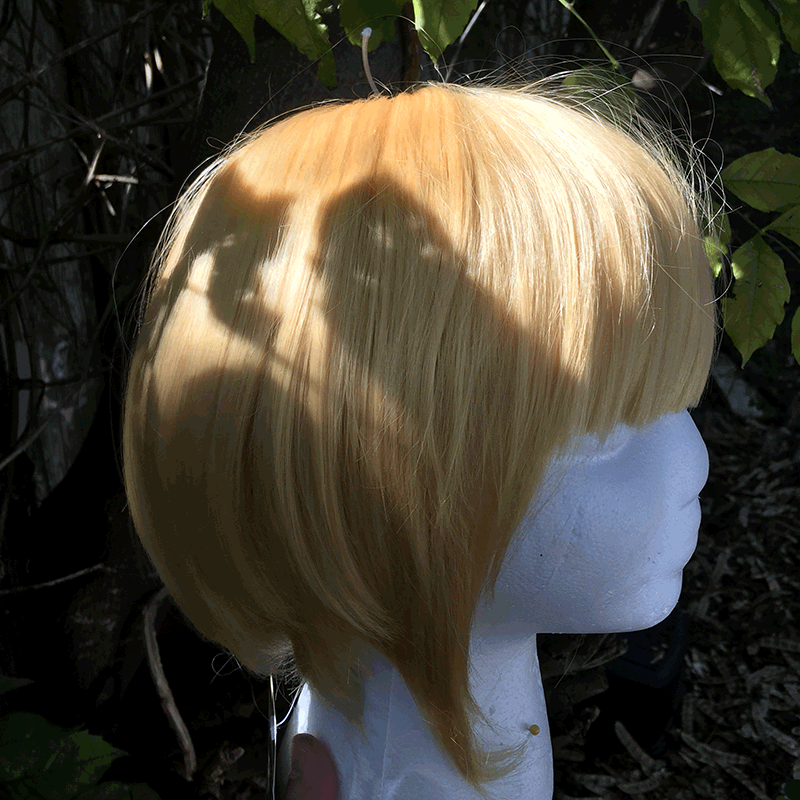 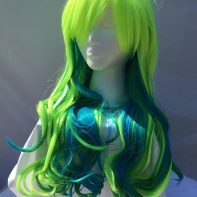 Heat resistant and so so cute, this wig just wants to be your friend and is in no way a suspect in a string of investigations involving blood loss. 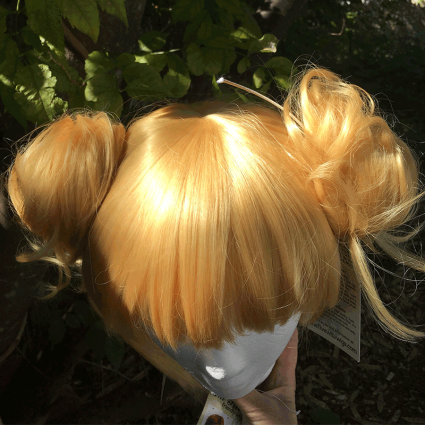 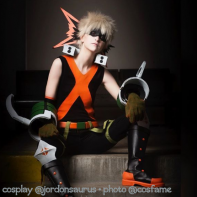 Wear this bright blonde bob with or without its charmingly tousled clips, dream big, and please commit no terrible crimes against super heroes.